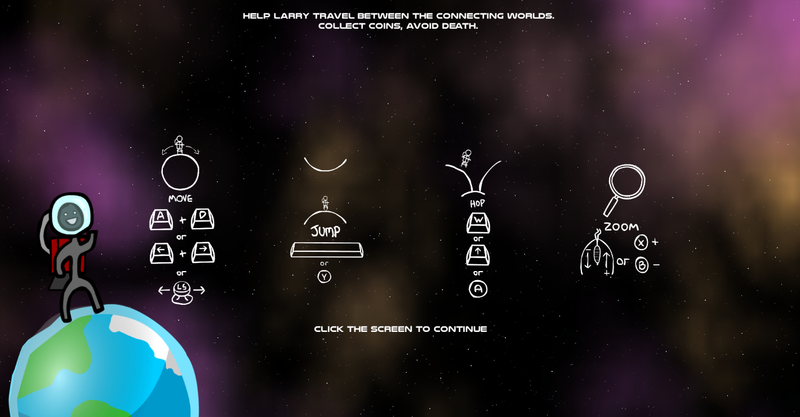 In Planet Jumper, you'll play as Larry - a young space explorer who loves nothing more than to travel across the various planets in his galaxy. Recently, more and more planets seem to have been colliding together - and what happens when two planets collide? That's right, coins appear! Lots of shiny gold coins! Larry wants to seize this opportunity by collecting as many coins as possible - try to help him out! Planet Jumper was our entry for Ludum Dare 30 - our first ever game jam event (and first time building a PC game!). While we had worked on other small projects before, this was the first time we had all sat down in the same room and created a game from scratch. It was super exciting. The 72 hours of energy drink fuelled, sleep deprived madness that followed allowed us to create Planet Jumper. By the time the competition was over, there were still a few bugs which we wished we had time to fix - but overall the game turned out pretty well and gave us a massive motivation boost to keep making games! Listen to awesome space music! 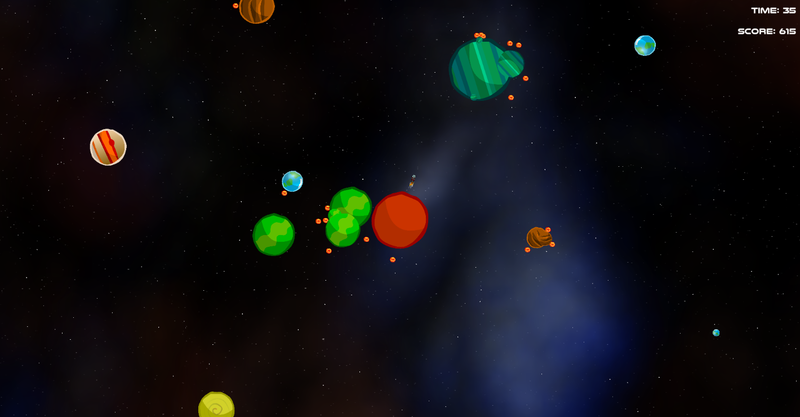 Hop from planet to planet in our randomly generated space! Collect coins and visit more planets to increase your score! 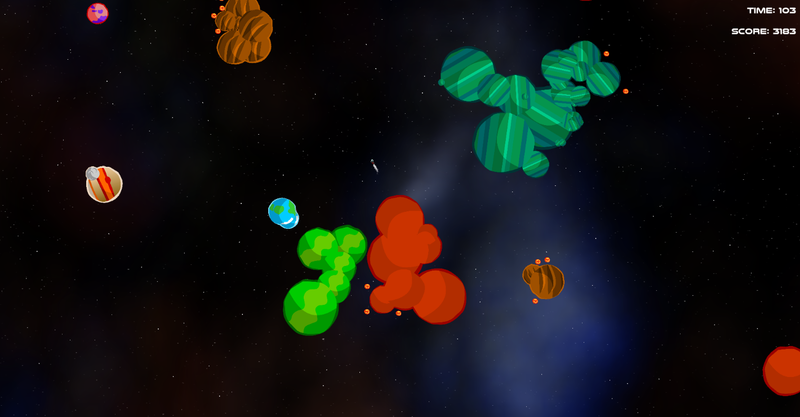 Enjoy the scenery as planets collide and merge making all kinds of weird shapes! Post your score to our online leaderboard and become Ultimate Planet Jumper Champion! There are currently no trailers available for Planet Jumper. Check back later for more or contact us for specific requests!